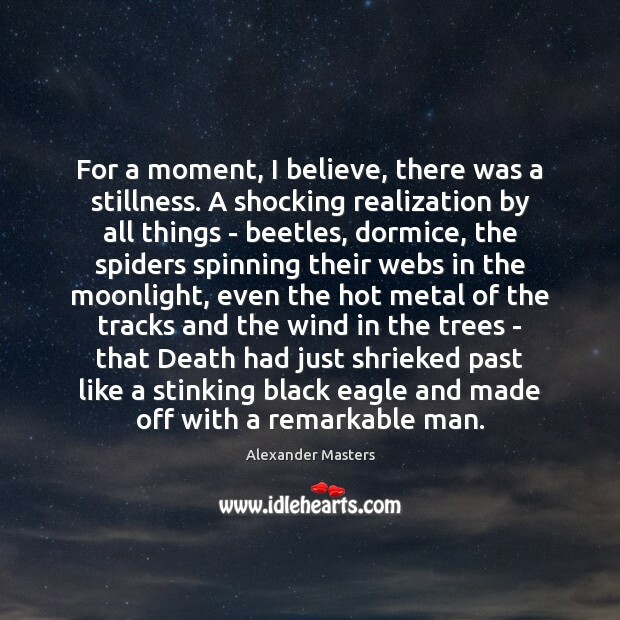 Enjoy the best inspirational, motivational, positive, funny and famous quotes by Alexander Masters. Use words and picture quotations to push forward and inspire you keep going in life! 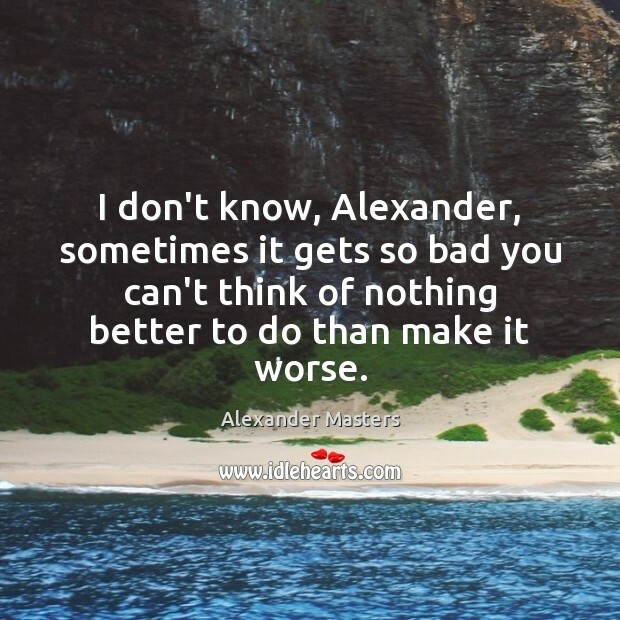 I don't know, Alexander, sometimes it gets so bad you can't think of nothing better to do than make it worse. 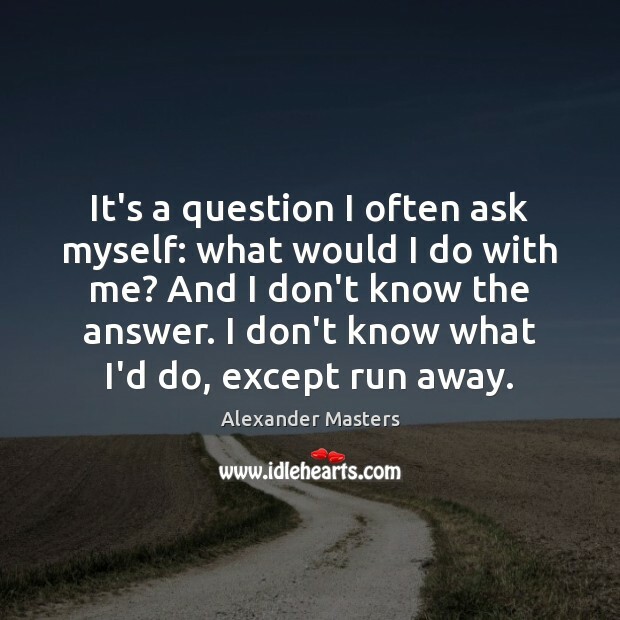 It's a question I often ask myself: what would I do with me? And I don't know the answer. I don't know what I'd do, except run away. 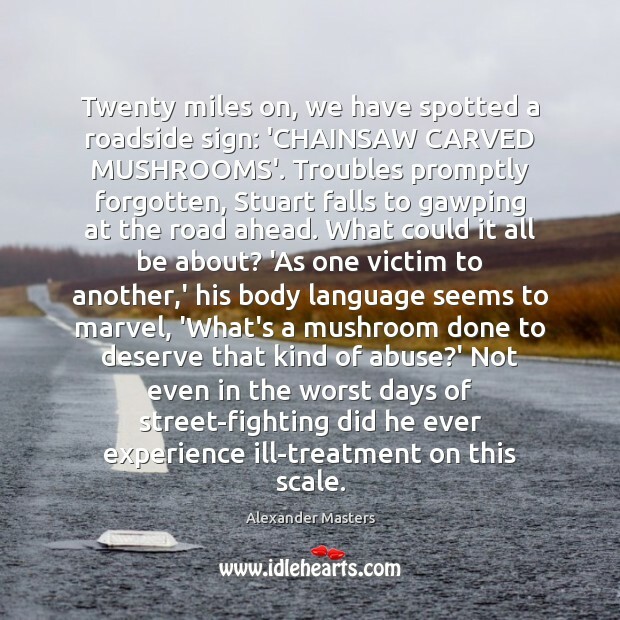 Twenty miles on, we have spotted a roadside sign: 'CHAINSAW CARVED MUSHROOMS'. Troubles promptly forgotten, Stuart falls to gawping at the road ahead. What could it all be about? 'As one victim to another,' his body language seems to marvel, 'What's a mushroom done to deserve that kind of abuse?' Not even in the worst days of street-fighting did he ever experience ill-treatment on this scale. 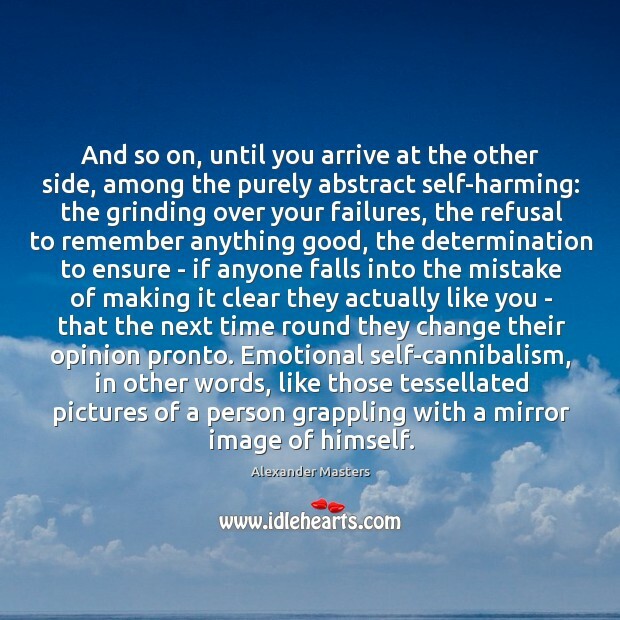 And so on, until you arrive at the other side, among the purely abstract self-harming: the grinding over your failures, the refusal to remember anything good, the determination to ensure - if anyone falls into the mistake of making it clear they actually like you - that the next time round they change their opinion pronto. Emotional self-cannibalism, in other words, like those tessellated pictures of a person grappling with a mirror image of himself.